Hi, friends! Fall is in full swing, and I have a ton of great ideas for you to fall into this fall! My favorite is this popsicle stick scarecrow, inspired by This Girl’s Life Blog?! Isn’t it adorable?! 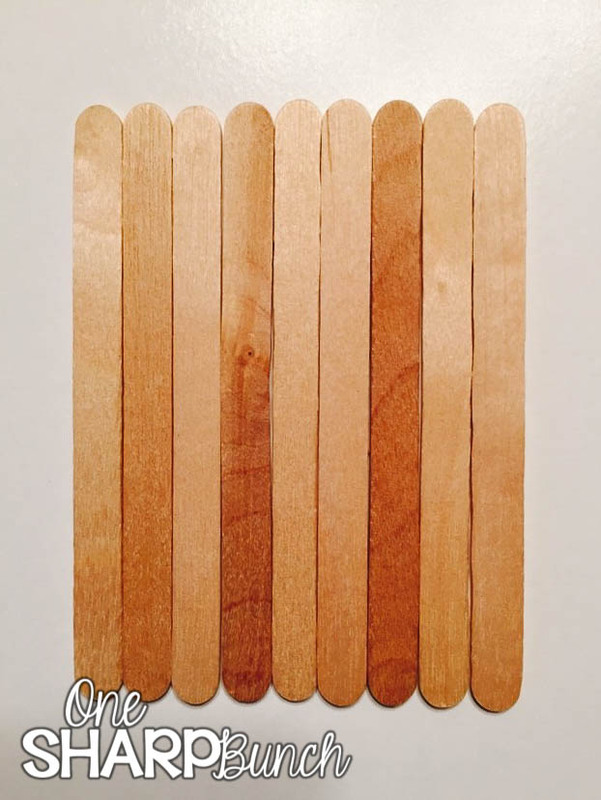 First, you’ll need to trim two of the popsicle sticks. 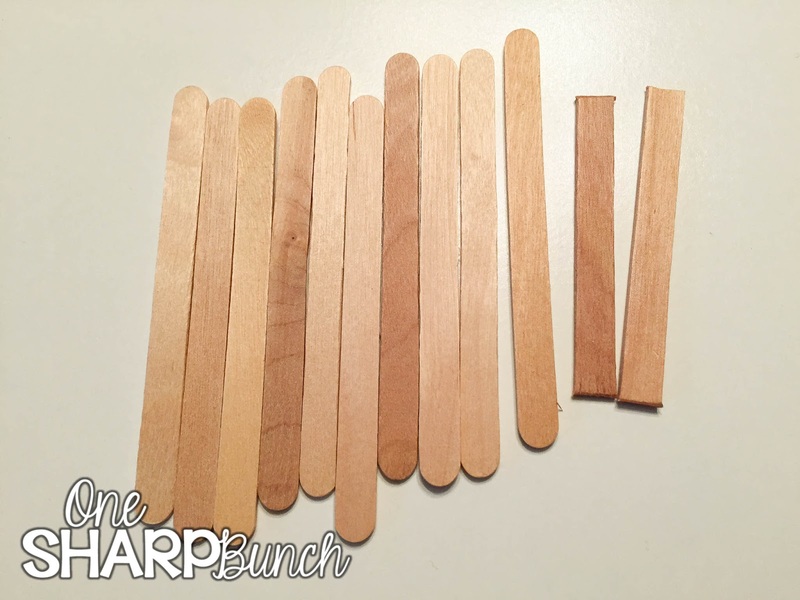 Line up nine of the popsicle sticks to create somewhat of a square. 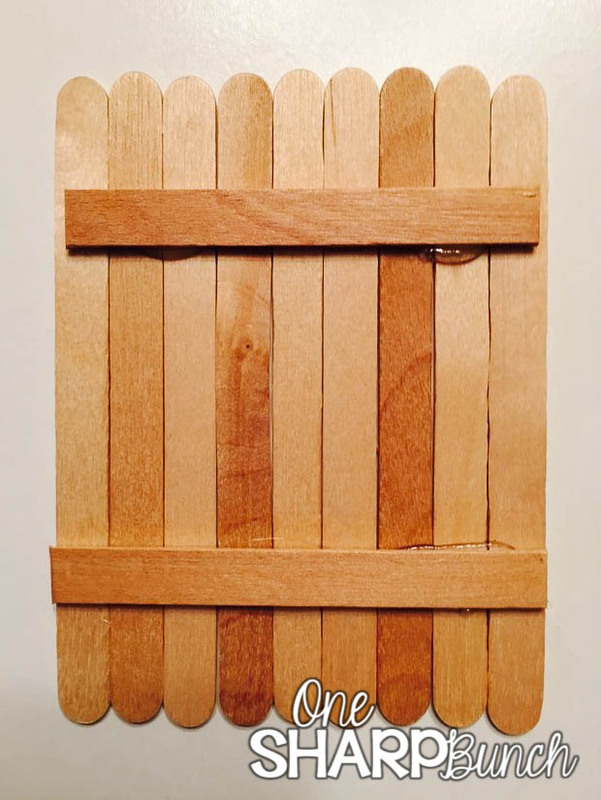 Attach the two trimmed popsicle sticks across the back using a hot glue gun. 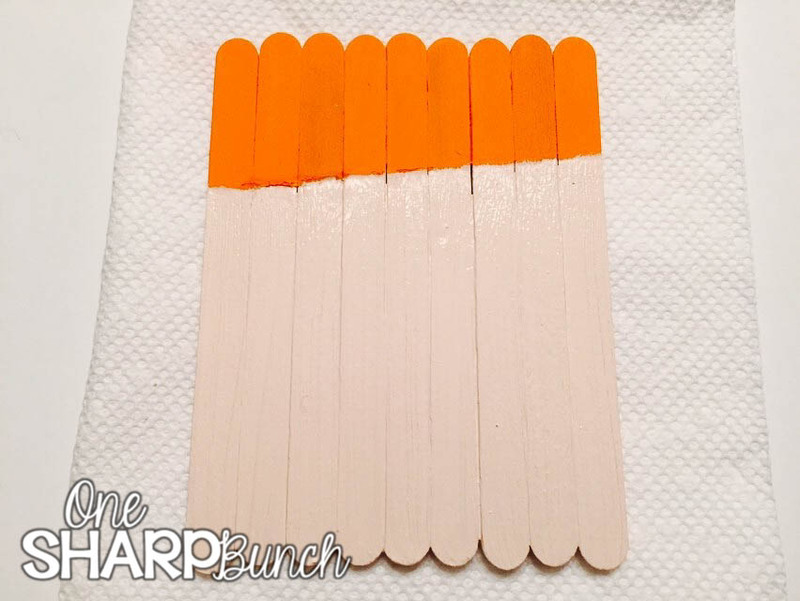 If you’ll be having your students paint these, I would draw a diagonal line across the top so that they know where to paint the orange and flesh-colored paint. I did not do this for myself, but I will definitely be doing this for my kiddos. 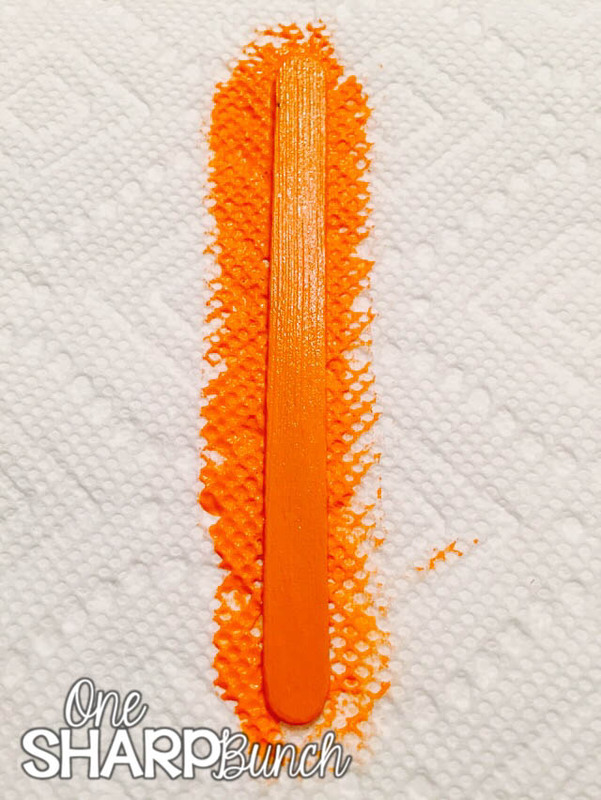 Paint the remaining popsicle stick orange. This will be used to create the brim of the scarecrow’s hat. Attach the hat brim, googly eyes, felt nose, fall flower and raffia hair using a hot glue gun. Draw on a cute scarecrow mouth, and your popsicle stick scarecrow is complete! Isn’t he so stinkin’ cute?! To go along with our cute popsicle stick scarecrow, we’ll be learning a simple scarecrow poem that we’ll place inside of our poetry binders. After reading the poem each day, we will complete a different activity… including locating the word wall words, learning the word “big,” practicing the sh- digraph, and highlighting the capital letters. Plus, we’ll be playing this fun sight word game! My kiddos always go crazy for the “Shoo!” card! You can find this scarecrow poem and sight word game, as well as many more great fall poems in my I Can Read November Poetry Binder pack! You can check out all of these fall math and literacy center activities and MORE in my Fall Frenzy Pack! Now, here’s a great fall freebie to fall into! It is chock full of some great fall math activities, which are sure to keep your kiddos falling in love with math! Now, hop on over to the other amazing bloggers to fall into some MORE great ideas for fall! I could not get the link to work for Sparkling in Second Grade on the Rafflecopter. I love your Sight Word Identification Scrambler! I can't wait to try it 🙂 Also, that Scarecrow craftivity is so stinkin' cute! Thanks for sharing! That scarecrow though. I can't even get over how cute that is!! 🙂 LOVE! Thanks for sharing!! I want to make a popsicle stick scarecrow RIGHT NOW!!! That is so adorable, thank you for sharing!! Would it be possible to use tacky glue instead of hot glue and have it stay? I want to do this with my classroom of two-year-olds, but I’m afraid hot glue is too dangerous to have around even if I’m the only one using it. Thank you! I think tacky glue would work! I used a low temp glue gun, but I agree that this would be a little too dangerous for your kiddos!